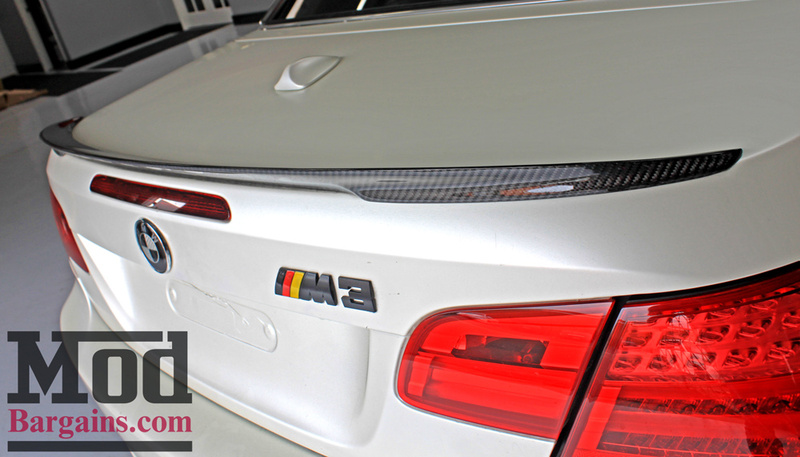 It takes someone with an eye for the little things to appreciate a truly bespoke build – when you look at a painting from across the room, all you can see is the whole picture, but much like the strokes of the artists’ brush become clear upon close examination, the details really stand out – like our lede photo here – a simple pair of Carbon Fiber E92 BMW M3 kidney grilles. 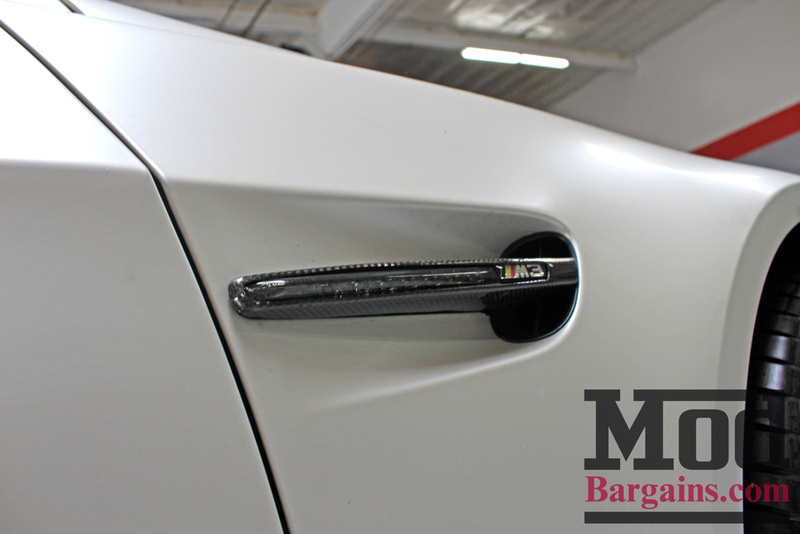 When you start doing carbon accents, it’s important to be cohesive so that the trim compliments the rest of the car, as clumsily applied carbon just looks like a hot mess, and that cohesive style is present throughout this E93 BMW M3. 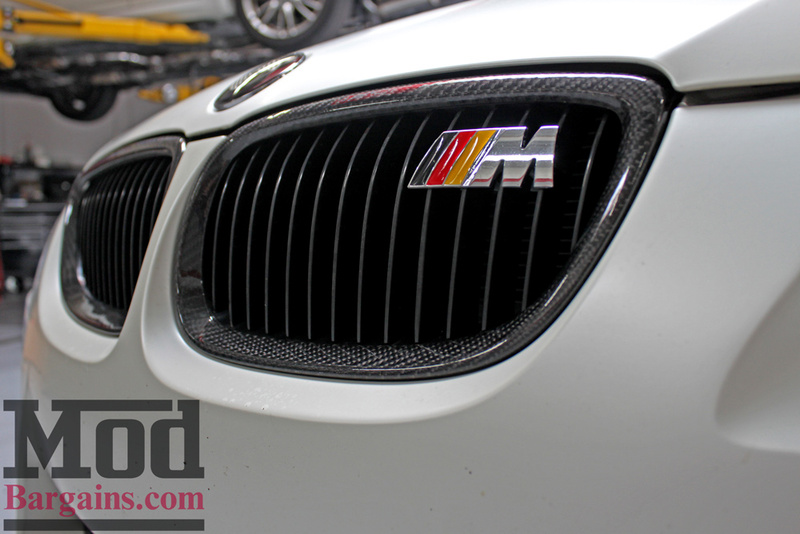 Like the Carbon Fiber M3 Kidney Grilles, the Fender Grilles of the M3 are not to be missed either – this E93 M3 sports a set of Carbon Fiber Fender Signal Grille Covers for M3, adding a stylistic accent to an otherwise somewhat plain part of the car. 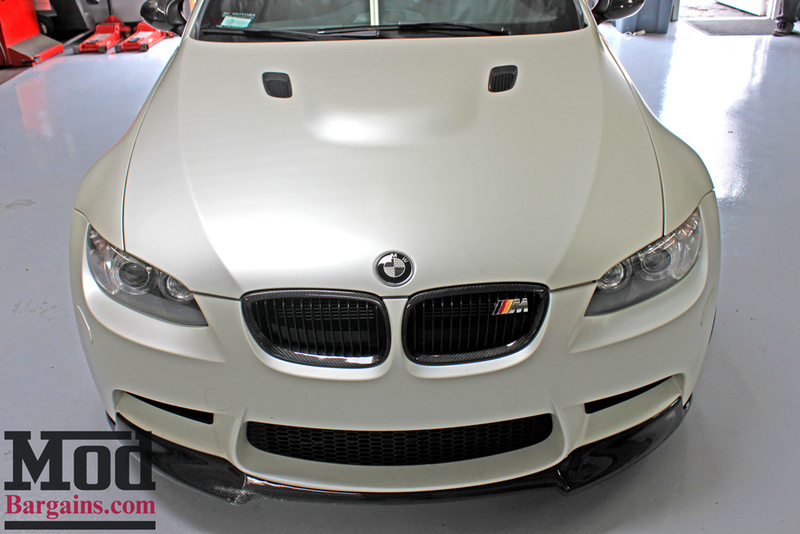 On the hood, the black OEM hood vents are a little lackluster – a set of Carbon Fiber Hood Vents for E92 M3 lend some much needed flair on either side of the hood’s power bulge. 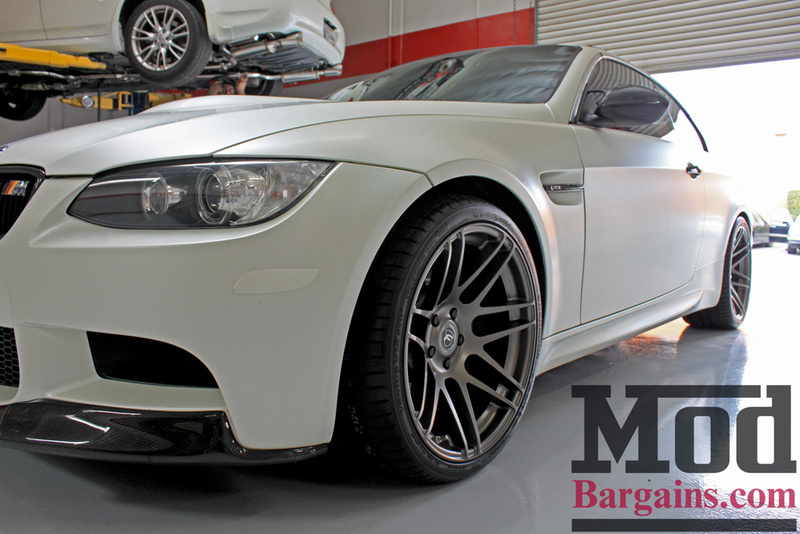 A set of Semi-Gloss Gunmetal Super Deep Concave Forgestar F14 wheels for BMW in 19×10 ET20 (square fitment) give this M3 a super-aggressive fitment and aesthetic, and the semi-gloss gunmetal pairs brilliantly with the carbon fiber accents. 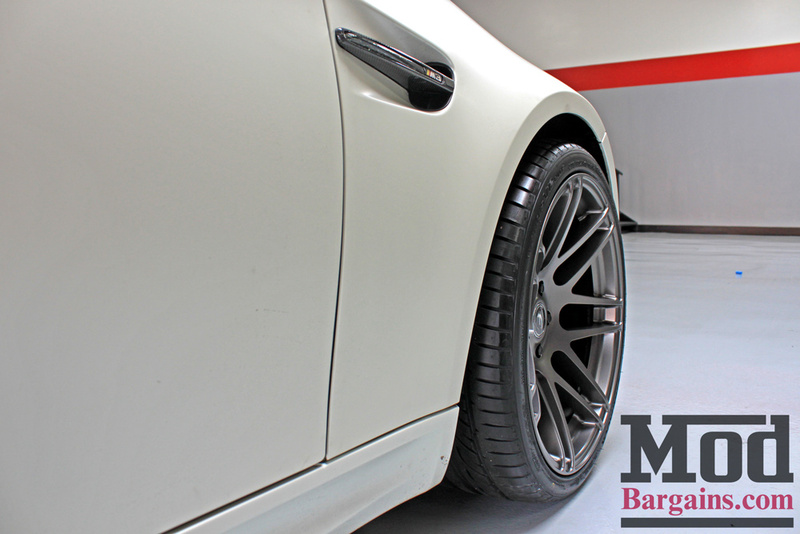 Typically with Forgestars, you have to wait 8 weeks or more to have your wheels custom-produced, but we’ve actually stocked up quite a few of this fitment in this style, so we’ve got this exact fitment ready to go in the shop – and that’s precisely what we did. 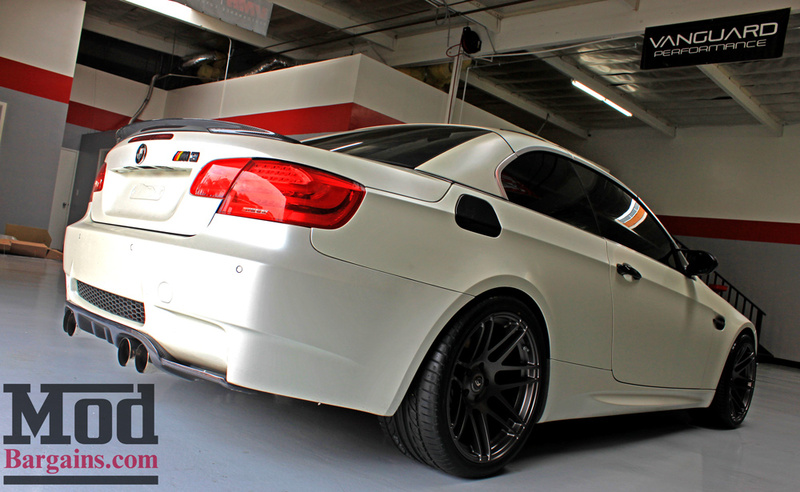 Out back a Performance Style Carbon Fiber Trunk Spoiler for BMW E93 Cabrio rounds out the carbon aesthetic, tying into the CF details on the front of the car as well as the H-Style Carbon Fiber diffuser for E92/E93 BMW M3. 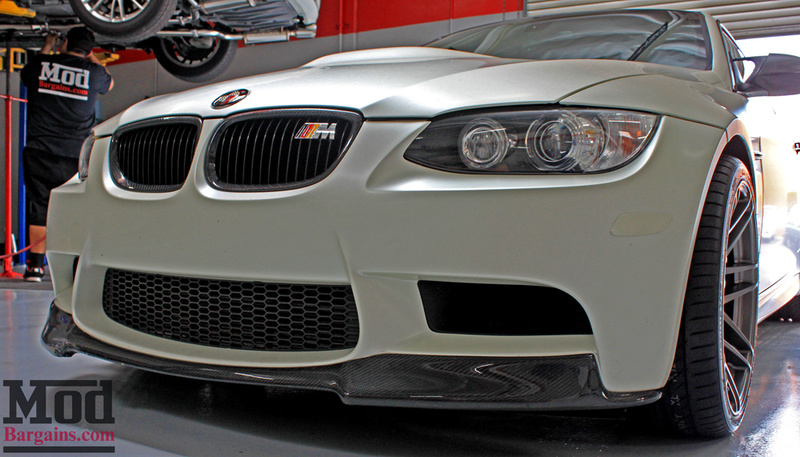 Up front, you’ll find a VRS-Style Carbon Fiber front Splitter for E92 BMW M3, which completes the whole Carbon Fiber ensemble. 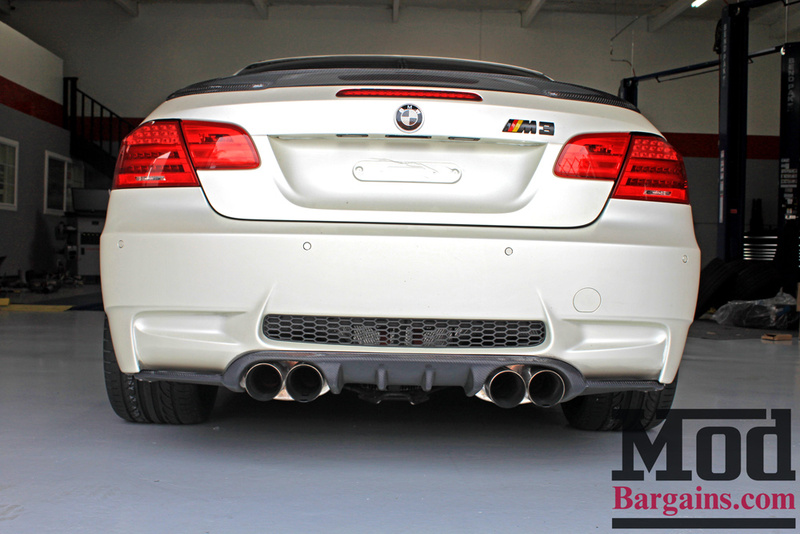 From the side profile, you can appreciate how clean the OEM Painted Reflectors for E92 BMW M3 make the car – there’s no nasty orange blob breaking up the smooth lines of the car. 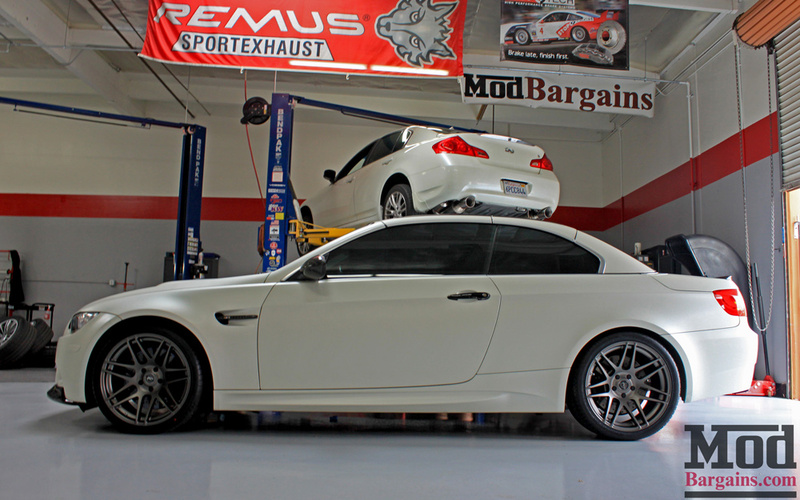 From here we’ll let the photos speak for themselves. 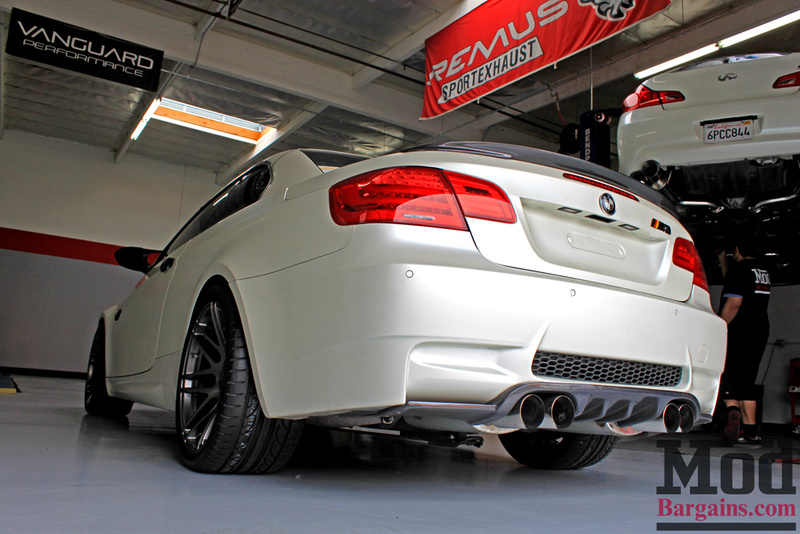 We hope you enjoyed the photos are much as we enjoyed taking these. 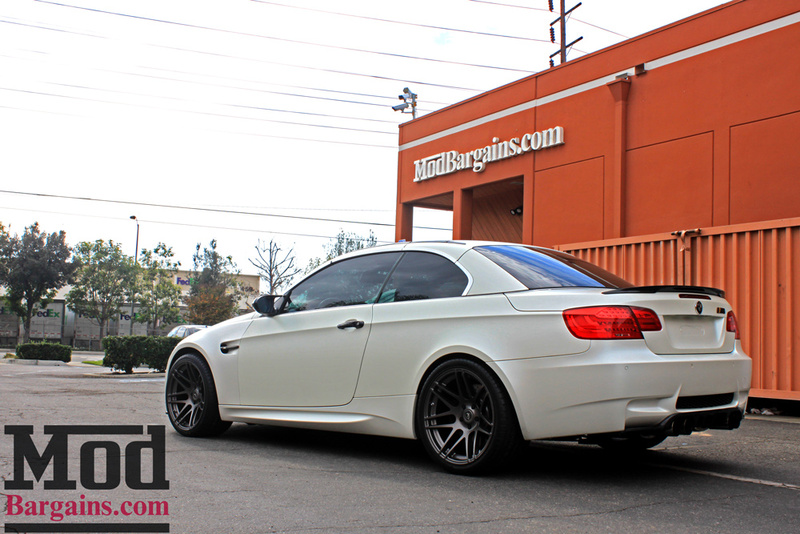 Just in case you missed it, here’s the fitment specs on those Forgestar F14 Wheels on this BMW M3. 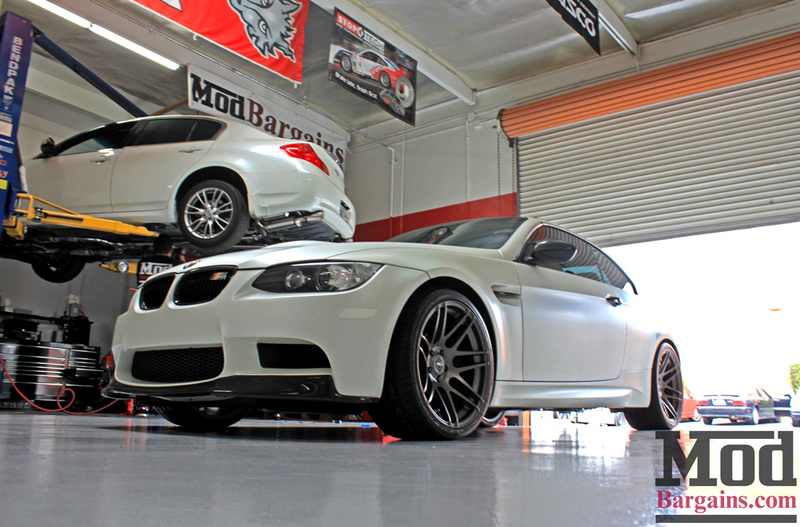 Interested in modifying your BMW? 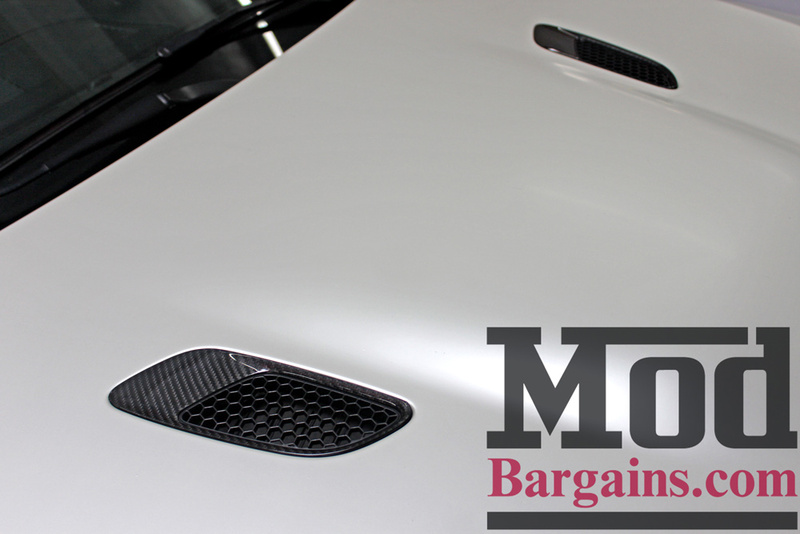 Talk to the Mod Experts! 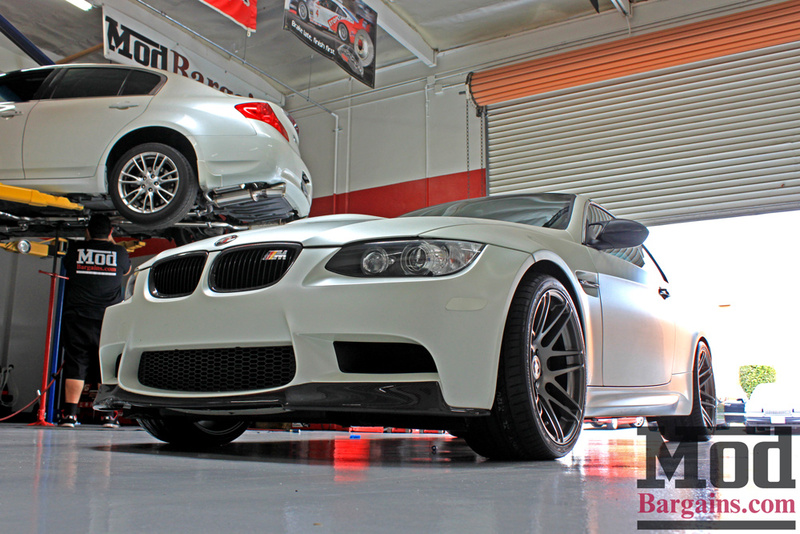 Call us at 714-582-3330 to see how we can help you make your ultimate driving machine the ultimate driving machine for YOU.